2) Be sure, what Spring version you are using. In my case my .jar files are Spring 3.1 which is different to Spring 3.0 (this is very important). 3) Of course, you should check if you have Spring MVC jar file loaded in your project libraries. What does “<mvc-annotation-driven />” do? “The above registers a RequestMappingHandlerMapping, a RequestMappingHandlerAdapter, and an ExceptionHandlerExceptionResolver (among others) in support of processing requests with annotated controller methods using annotations such as @RequestMapping , @ExceptionHandler, and others”. Spring 3 style type conversion through a ConversionService instance in addition to the JavaBeans PropertyEditors used for Data Binding. Support for formatting Number fields using the @NumberFormat annotation through the ConversionService. Support for formatting Date, Calendar, Long, and Joda Time fields using the @DateTimeFormat annotation. Support for validating @Controller inputs with @Valid, if a JSR-303 Provider is present on the classpath. HttpMessageConverter support for @RequestBody method parameters and @ResponseBody method return values from @RequestMapping or @ExceptionHandler methods. ResourceHttpMessageConverter converts to/from org.springframework.core.io.Resource for all media types. SourceHttpMessageConverter converts to/from a javax.xml.transform.Source. FormHttpMessageConverter converts form data to/from a MultiValueMap<String, String>. 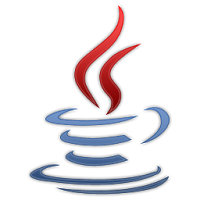 Jaxb2RootElementHttpMessageConverter converts Java objects to/from XML — added if JAXB2 is present on the classpath. MappingJackson2HttpMessageConverter (or MappingJacksonHttpMessageConverter) converts to/from JSON — added if Jackson 2 (or Jackson) is present on the classpath. AtomFeedHttpMessageConverter converts Atom feeds — added if Rome is present on the classpath. RssChannelHttpMessageConverter converts RSS feeds — added if Rome is present on the classpath. Class has two properties of the same name "userId"
It was really easy after spending time to search this issue. My JAXB was looking at both the getUserId() method and the member userId. I didn’t say which JAXB implementation I was using, the exception was fairly clear but that was the first time that I was working with JABX, at the beginning it is a little complicated to understand that message. To solve this issue just was necessary to specify to JAXB which implementation I wanted to use using @XmlAccessorType(XmlAccessType.FIELD) annotation after @XmlRootElement(name = “profile”) please, see next code to have a clearer idea. Be happy with your code. Last week, we needed to add an action that could be thrown when a product was published on Virtuemart 2.x, for that reason a good solution was to implement a trigger in MySQL. At the beginning it seemed to be something simple and fast, but no at all, I spent more that an hour to end it, so today I would like to share a small code to create an on-update trigger in MySQL and modify an specific field (column table). This little SQL script sets published_on field to NOW (date and time when the trigger is executed) when the field published is true and no publish date exists (it means, when the product is published). By the way, Virtuemart 2.x does NOT have a published_on field, we had to add it to the products table. When you need to connect to several servers because you need to share, update or syncronize a set of files, a common situation is authentication process with the server, if you do this several times in a day, it could be a little hard to type or input your password every time that you are connecting, so, for this reason today I would like to explain how to configure your machine in order to have an authentication based on RSA keys, on this way, no password will be required anymore (an UNIX-like operating system is required, it doesn’t apply for windows, sorry). Figure 1. An example of ls -la command. id_rsa. This file saves your private key (you must NOT share this key is only for you). id_rsa.pub. This file contains your public key (you can share this key with all your “server-friends”). Now, it is time to prepare your server to allow access using public keys authentication. 2) Back up the file called sshd_config (to save the original file, just in case you have a configuration error and you need to return to previous configuration). This file contains configuration used by SSH service. First line allows the use of public keys to authentication. Second one specifies where the public keys will be stored. 5) Save and close the file (press Ctrl + O to save and Ctrl + X to close). 6) Now, we will add our public key to authorized_keys file, to do this, open this file (it usually is in ~/.ssh/authorized_keys, in case it doesn’t exist you can create it). 7) Next, this is too important: you MUST copy YOUR public key, this key is in YOUR COMPUTER in the file id_rsa.pub (generated with ssh-keygen at the beginning of this post). You will need to open your id_rsa.pub file, copy its content and paste at the end of the authorized_keys file in the SERVER (if you want you can backup authorized_keys before adding your public key). 9) Close your current SSH connection. 10) Finally, to test all your configuration, just try to enter to the server and you should enter without password! Be happy with your servers.